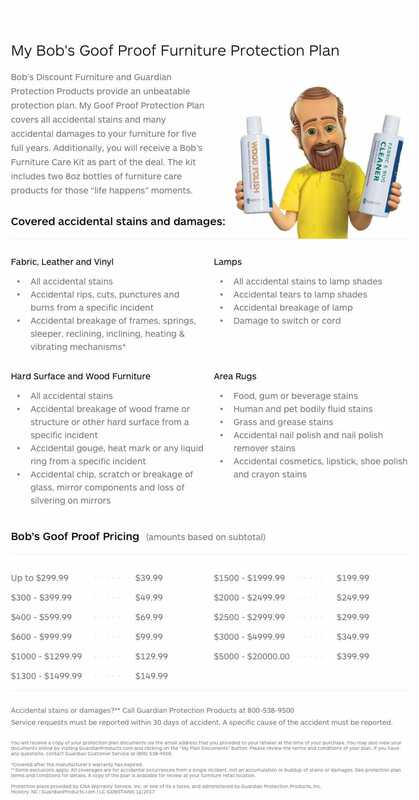 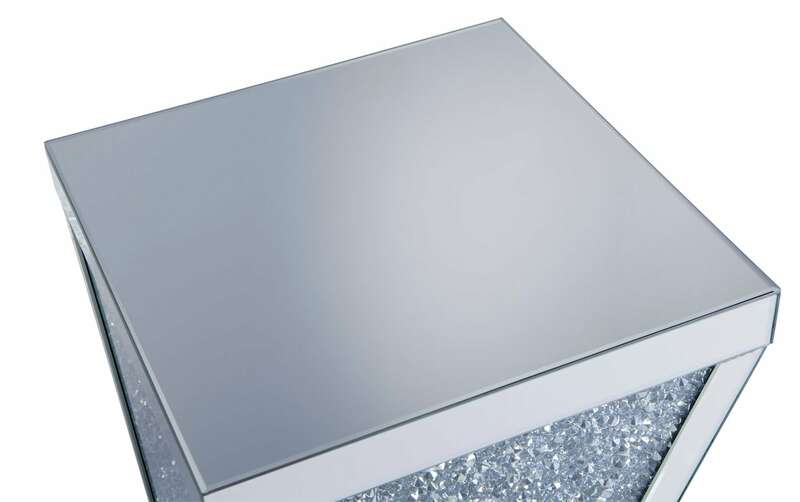 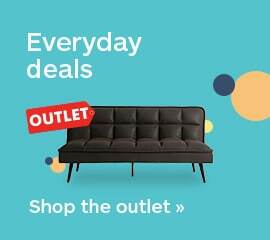 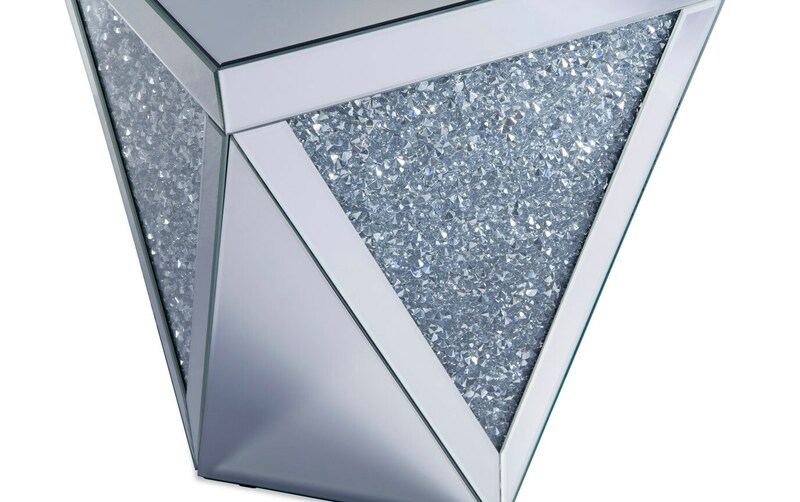 Prepare to be dazzled by this end table. 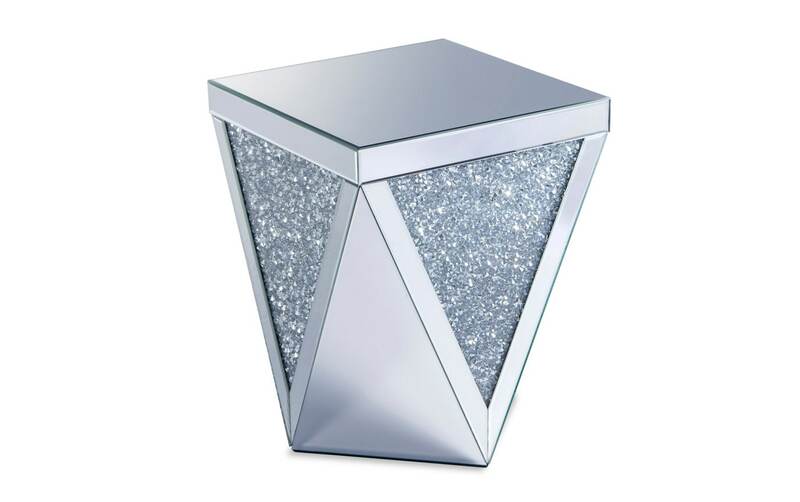 It's all in the name- and my Dazzle End Table is truly dazzling! 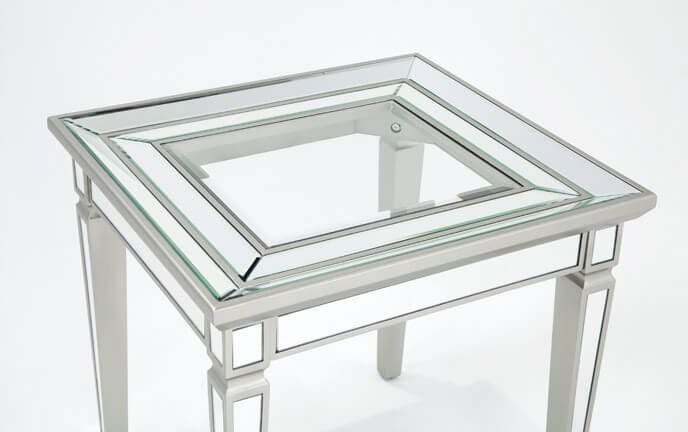 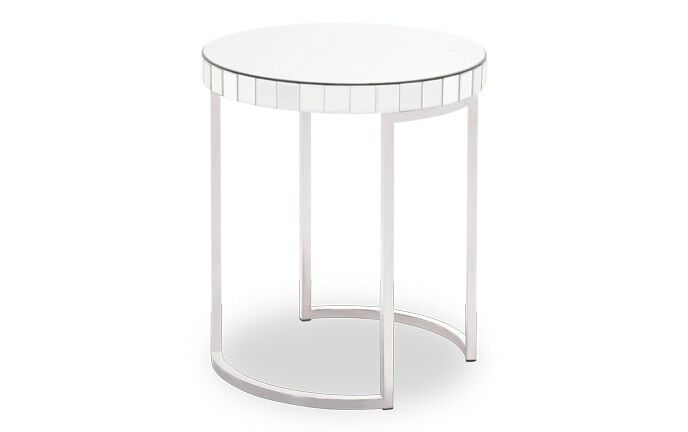 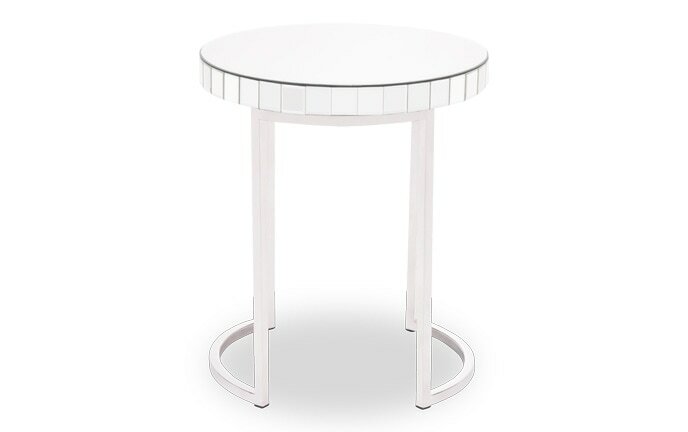 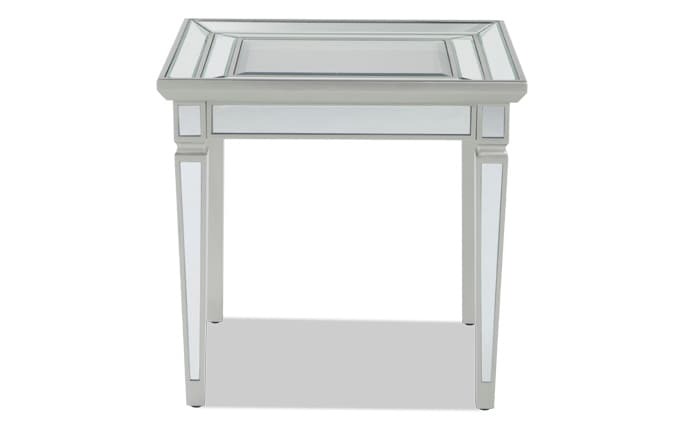 Made of glass and MDF, this end table has a mirrored finish with a five millimeter beveled edge. 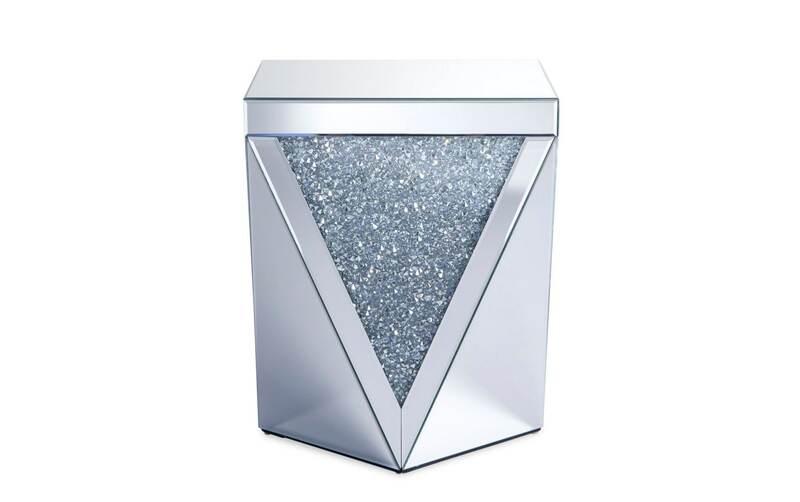 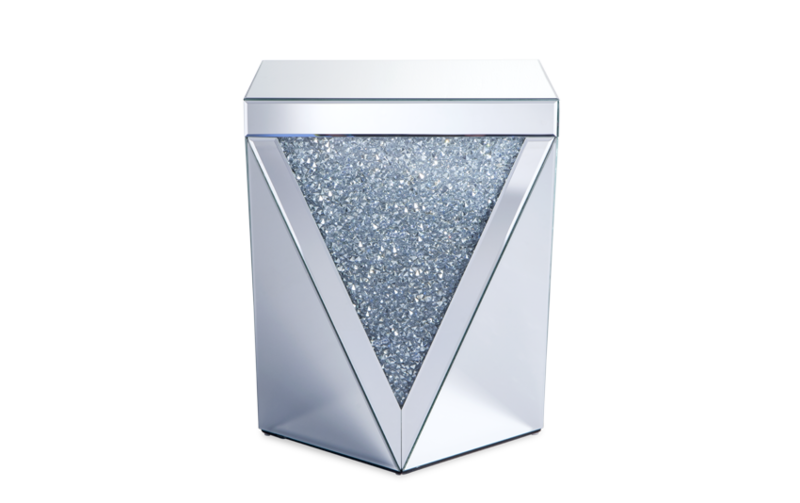 Its drum-style design and overall shape radiates major contemporary vibes, but all the shine and shimmer it produces is the definition of glam!